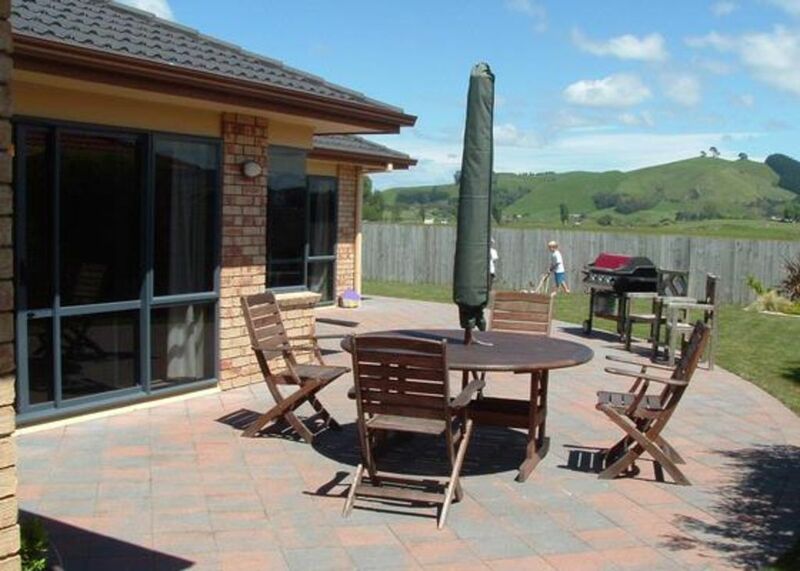 Fabulous sunny 4 bedroom modern family home in quiet cul-de-sac, 1.5 Km from beautiful Papamoa Beach. 5 minute drive to Bayfair shopping centre, 3 minutes to Fashion Island shopping centre. Excellent for kids. Large deck with sunny outdoor entertaining and BBQ area. Excellent views of the Papamoa hills. Garden for backyard cricket. Fantastic spot for a very relaxing family get-a-way - you won't be disappointed. PLEASE NOTE THIS PROPERTY IS ONLY AVAILABLE DURING DECEMBER AND JANUARY OF EACH YEAR. The accommodation was great. Clean, WIFI and everything you need for a great time away. Owner was friendly and very helpful to deal with. Will definitely put this on our 'would return to' list. Fantastic bach. Home from home. Had everything we needed and very close to all amenities. Was a nice quiet close with beautiful views of the hills. Very relaxing.